Year 2011 is almost over, and now it would be a good time to generate my full year financial report for 2011 (Jan 11 to Dec 11). 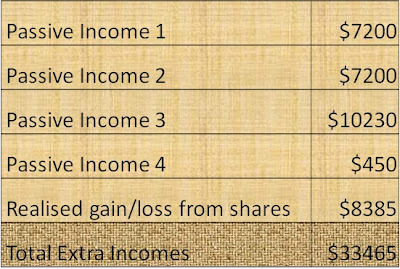 The above table shows the total for each of my passive incomes collected from Jan 11 to Dec 11. For my passive incomes, I have managed to collect a total of $25080 for the whole year, which is about $2090 per month. 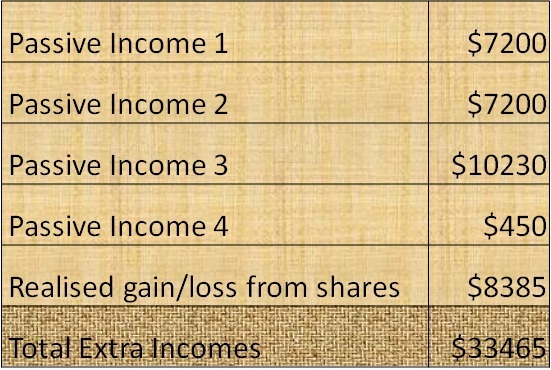 If include the realised gain of $8385 from selling some of my shares, the total extra incomes for this year will be $33465, which is about $2788 per month. 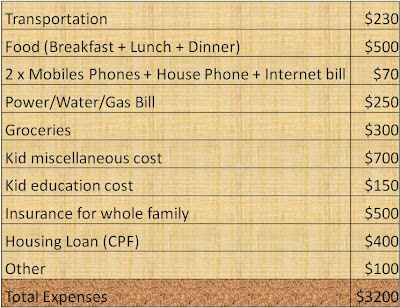 The above table shows my total monthly expenses. There are no changes since the beginning of the year. 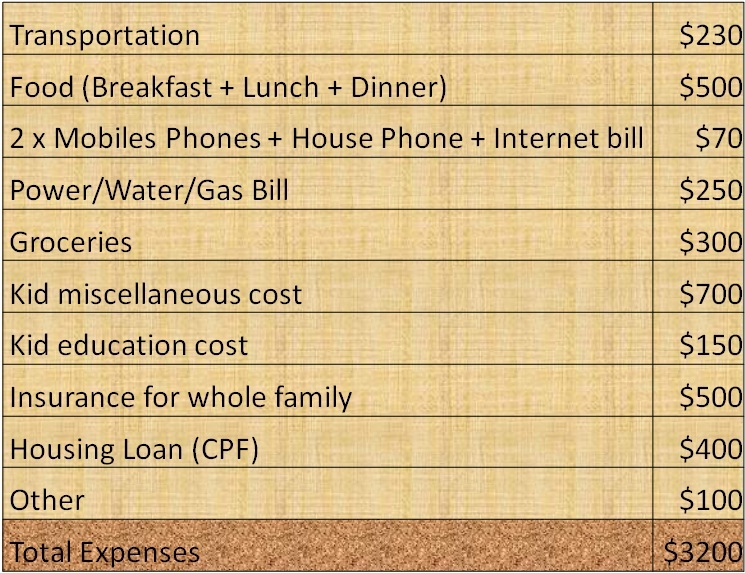 I am still following my old rule to keep my expenses as low as possible by not spending money on the things that I will not need. As for my only outstanding debt from my housing loan, it has reduced from $33000 to $14000. This year is quite a fruitful year for me though I did not able to achieve one of my New Year resolutions of having a passive income of $2400 by end of 2011. I give myself a "B+" grade for this year performance.